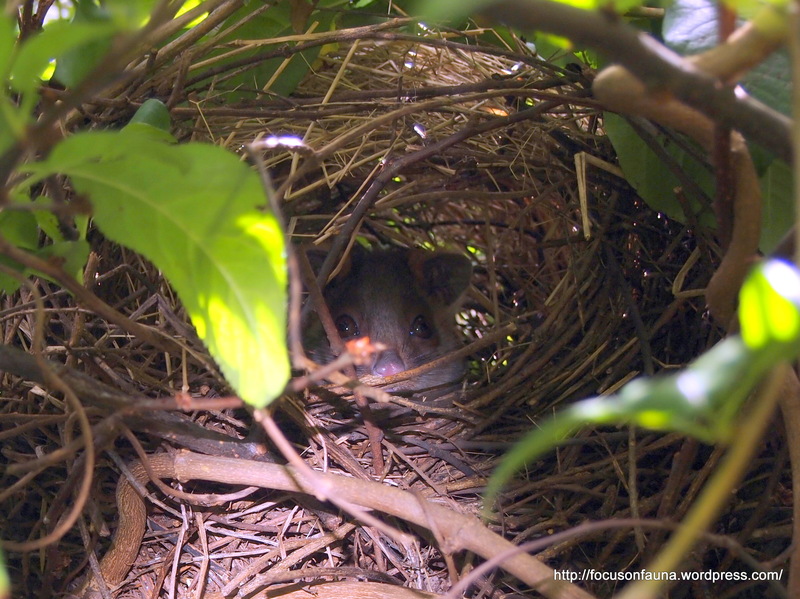 Those who attended the Focus on Fauna talk last month on Possums and Gliders would readily identify the bundle of sticks in this photo as a ringtail possum’s nest, or drey as it is known. 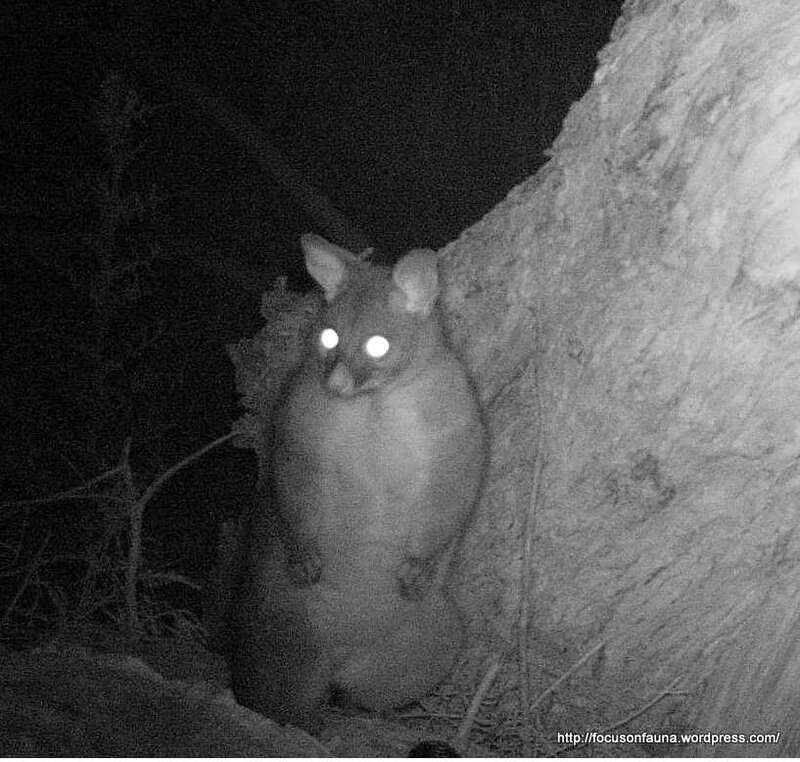 The possum’s face can be seen poking out from the entrance, looking a little sleepy! 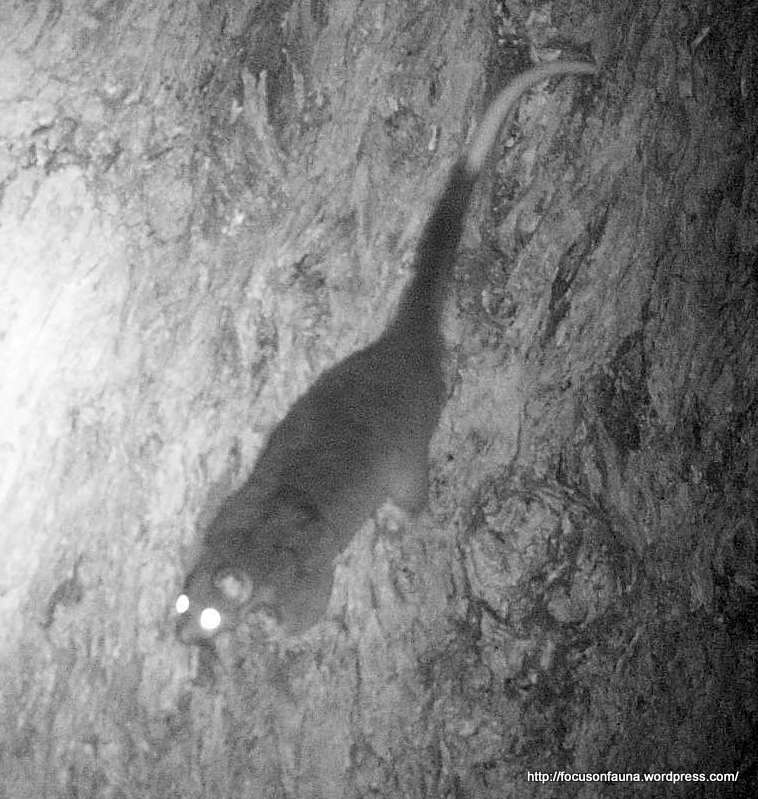 Although our regular survey schedule has now finished, the remote cameras have not been completely idle, and recently managed to capture many pictures of Sugar Gliders and both a Common Ringtail and a Common Brushtail Possum on a property over towards Reedy Creek. The short video below may take a few moments to load. Hi Susan, to see the Sugar Glider, make sure you click the arrow to start the video. Thank you I saw them. 2 in their special nest – great!